Johannes joined TSU in March 2019 as a senior researcher. His work centres on the governance behind the transformation and stabilization of transport and energy systems. He draws on a range of social theories but specifically focuses on the politics of security and risk in these processes. Johannes completed his PhD in International Relations at the University of Groningen, the Netherlands, in 2016 with a monograph on the theory behind energy security politics. 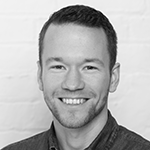 Prior to joining TSU he worked for three years as a postdoctoral researcher at the University of Aarhus, Denmark, on a DFF funded stakeholder and consumer project focussing on the barriers and opportunities for electric mobility and vehicle-to-grid in the five Nordic countries. Recent publications can be found in Energy Policy, Mobilities, Energy, GEC, and Energy Research and Social Science. Besides general regulatory and policy work on the crossing between transport and energy, Johannes is mainly concerned with the role of security in mobility transitions. He studies how security choices, arguments, logics and practices are used and misused to speed up or slow down transitions in transport systems and mobility in general. Based on a broad interpretation of security, one that incorporates a wide range of logics around risk, insurance, safety, cybersecurity, surveillance, etc., and a critical perspective that draws on the security literature around securitization, biosecurity and security practices, the project will engage critically with security decision-making in mobility transitions. The focus is not on security as a binary condition of being safe/unsafe, with unsafe events in need of countermeasures, but on the political processes through which security logics and arguments are generated, used and discarded to speed up and slow down transformations. So instead of defining security, the project studies, among others, how issues become security concerns, what the political effects are of such a move, and what happens when different security logics clash on a particular transport topic. By using security as an entry into recent transportation debates, including recent transitions around EVs, AVs, MAAS and so on, it becomes possible to disclose the hidden assumptions, exclusions and other ethical questions behind risk and safety decision making. In short, this project simultaneously offers a first and thorough critical reflection on what security does in transport and it offers deeper insight into how security returns in transitions. Governing intersections: The regulatory and policy challenges at the intersection of energy and mobility systems, including challenges behind electric mobility and charging (like vehicle-to-grid) as well as other sustainable fuels. This includes reflections on technological developments, incentive programs, consumer acceptance, the design of flexible electricity markets, as well as the politics behind communication and engineering standards that enable the actual linkage of these systems. Security in Mobility: A critical exploration of the range of security logics present in transportation and transport systems. Planned subprojects include the risk and insurance debates around automated vehicles; the safety discussions behind repair and maintenance of public infrastructure, traffic accidents, or dangerous goods transport; the choices behind the modelling and politics of emergency services hubs and consumer travel in times of calamities; personal security issues within mobility; or resilience analysis in transport systems. Security in Transition(s): Drawing on the two empirical streams, a third stream of research will reflect more theoretically on the politics of security in transitions. This implies engagement with the mobilities literature, the transition literature, the critical security literature, the sociology of expectations, etc. and related discussions on topics such as smart cities, energy transitions, climate security and cybersecurity. Kester, J. (2017) Governing electric vehicles: mobilizing electricity to secure automobility. Mobilities, 13(2): 200-215. Kester, J. (2016) Conducting a smarter grid: Reflecting on the power and security behind smart grids with Foucault. In, Beaulieu, J., de Wilde, J.H., Sherpen, J.M.A. (ed.) Smart Grids from a Global Perspective: bridging old and new energy systems. .